Has Airbnb affected your travel plans? 80% of listings have been deleted and many existing future reservations will be cancelled if you booked with non-registered properties. We are a registered guesthouse with , English-speaking staff and located in the real 'Old Kyoto' away from the tourist traps! If you are traveling to Kyoto please take a look at our listings! We started running inNovember 2016. We are a brand-new guest house with the latest and best Amenities. 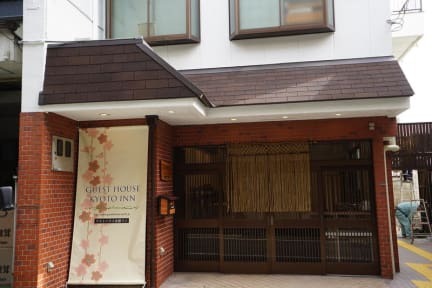 At the Guest House Kyoto Inn, you will find the perfect combination of urban convenience and secluded relaxation in the ancient capital of Japan. We are conveniently located near Kyoto station and a lot of world heritage such as: Honganji temples (1.3 km, 16 min by walk), Kiyomizu temples (4.5 km, 38 min by bus), Nijo castle (2.8 km, 29 min by bus), Tofuku-ji Temple (3.3 km, 39 min by bus) etc. There are so many things to do and see in Kyoto and our central location makes us the best starting point. The best way to get around the Kyoto city is by bus, and you can buy a one-day bus pass from our counter. The nearest bus stop is just 1 minute walk from us. 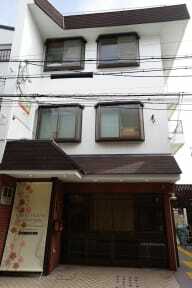 We are a 3-floor building, with 5 rooms that can allow up to 26 people in total. There are three 3-bunk-bed rooms and two 2-bunk-bed rooms. Two female dormitory rooms are also provided. We have 5 toilets, 4 individual shower rooms and 1 shower room with bathtub. Free High speed WIFI is provided in all rooms. Guest are welcome to use the public area, like the lobby, living room, toilet, shower room, washing machine, kitchen, refrigerator, and washing machine anytime. We have a fully equipped kitchen, please feel free to cook here. We also offer free tea and coffee for all our guests. Shampoo, conditioner and body soap are provided in the shower room. Toilet paper is also provided. We have a washing machineon the ground floor available 24 hours. There is also a balcony where you can dry your washed clothes. Car Parking: There are also hourly parking lots near the guesthouse.